Wake Foot Sanctuary In USA Today! We hear all the time from guests that a foot soak and relaxing massage is the perfect thing to do after walking around the Biltmore, running marathons of 5ks in town, or even just perusing the downtown city streets. We take great pride in taking care of our guests’ weary feet. We’re so excited to get a shout-out from USA Today including our services, among other wellness activities, that is a great option after being active or engaging in fitness routines. There are a lot of options to choose from in Asheville for relaxation and we are always so grateful when guests choose us. As we head into busy season for Asheville we can’t wait to meet knew weary fitness aficionados and our local regulars alike. 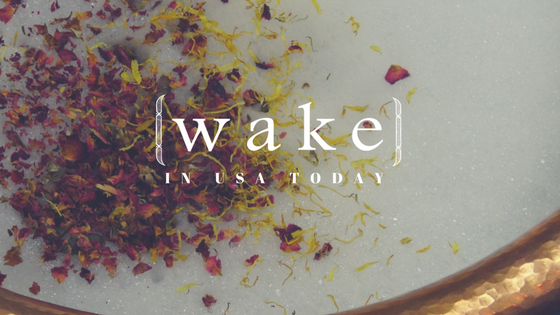 Click the link above to learn more about USA Today’s recommendations and see why Wake Foot Sanctuary stacks up against the heavy hitters in Asheville wellness.